On a recent trip to the grocery store, I was shocked to discover not only that most of the hard apple ciders now offer nutrition information on the bottle (like calories, carbs and sugar), but some brands have nearly 1/2 the carbs as others! My favorite hard cider (probably because it is so sweet) has almost twice the sugar and carbs of another brand, which taste pretty darn good too! Next time you shop for beer, wine or cider, spend some time checking the labels. You may be surprised. 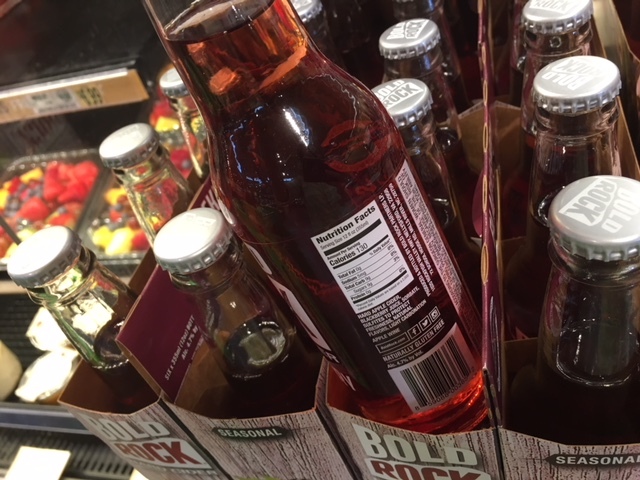 I was tickled to find that Bold Rock’s Blackberry Cider (a seasonal item) has only 9 carbs per 12 oz. serving. Cheers!